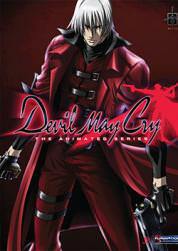 Dante works as a demon hunter for the office of Devil May Cry, and as he is always in debt he doesn't have the luxury to turn down jobs as long as they pay well. His latest assignment is to be a bodyguard for the young Patty Lowe while she receives her inheritance. During the mission he was able to defeat the demons that got in his way and deliver Patty safely, but upon completion of the mission Dante discovers that Patty will be staying with him – indefinitely! Now, Dante must not only hunt demons and coexist peacefully with other hunters, but also handle the responsibility of taking care of a little girl!